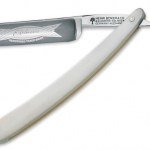 The Kamisori Straight Razor is one of the high-end razors. 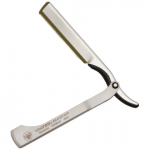 It is a little on the expensive side with a price around $111.67, but you do not want to purchase a cheap straight razor unless you are a beginner at the craft. 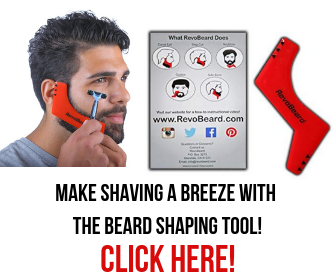 This razor will get your face smoother every time compared to traditional razors. The blade is premium Japanese alloy steel, unlike many other straight razors that have an aluminum blade. The handle is an HP handle. The blade and the handle are harder than other straight razors, so it will not break or chip as easy as the cheaper ones. The razor is not double sided. 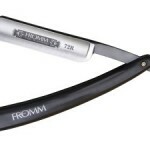 Heavier than many of the other straight razors on the market. As you have noticed, a Kamisori Straight Razor is on the expensive side. 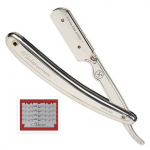 I agree that the price can be intimidating when you are a beginner and for some experts that use straight razors. Kamisori is costly because they know how to craft some of the best straight razors on the market. Kamisori is more than eight hundred years old. The first Kamisori Razor was introduced to Japan. Buddhist Monks from Korea are the ones that introduced the Kamisori to Japan. Later on as years passed the Japanese borders were open to the rest of the world. The borders being opened allowed English and German razors to spread throughout Japan. Even though more razors were available, the Japanese continued using the Kamisori since that is what they were familiar with. A kamisori is unique from other straight razors for the fact it is not equipped with a handle that the blade folds down into. The blade is also shorter. The blade on an Authentic Kamisori is never over two inches. The blade is also shaped different compared to other straight razors on the market. The blade is shaped in a way making it easier and quicker to sharpen. 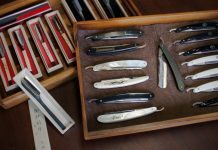 Kamisori hasn’t changed their technique and still offers the highest quality product they can make of the highest quality materials in the world unlike other companies that have been making straight razors for hundreds of years and have changed their techniques and the materials to create a bigger profit margin. Original Kamisori’s are hard to find and are known as collector’s items. 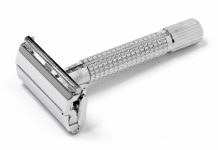 Most straight razors are long making it a little difficult for some experts. A Kamisori razor is shorter than others on the market with a length of no more than two inches. Made of the strongest steel that can be produced. The handle is designed to feel great in your hand no matter if you have large hands, unlike some straight razors that feel awkward and are hard to maneuver if you have a large hand. 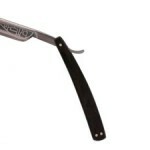 Better straight razor to learn with since it is shorter than most on the market. You need more concentration, so it is an excellent way to get into a meditating state of mind. The main drawback is the price. The price will intimidate experts since there are cheaper alternatives on the market. The blade cannot be replaced like many other straight razors so if you chip, crack, or break the blade you have to invest in a new razor. This razor is unlike other straight razors since it is shorter, so the learning curve is a little different than with the longer ones that are available. Is A Kamisori Razor Worth Buying? A Kamisori is a unique razor with a unique history that goes back hundreds of years. Original Kamisori’s are very rare, but the newer Kamisori Straight Razors are made similar to the older models. 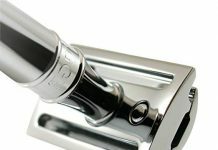 About the only change that has been done over the years is designing them with a more comfortable handle. In my opinion, a Kamisori would be a great investment whether you purchase a newer model for your daily shaving, or you go in search for an older Kamisori Straight Razor to display as a collector item. 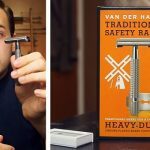 The price is intimidating, but I think the work that goes into these razors and the high-quality materials they are manufactured with makes the price decent. Many of your cheaper straight razors are made of more inexpensive material. I also like the fact that the blade is shorter than the average straight razor which will make learning to shave with one much easier. It will also be easier for a beginner to maneuver. Most straight razors have thin blades that will crack, chip or break easily. The Kamisori’s blade is thick and in the event it does get damaged they come with a lifetime warranty. 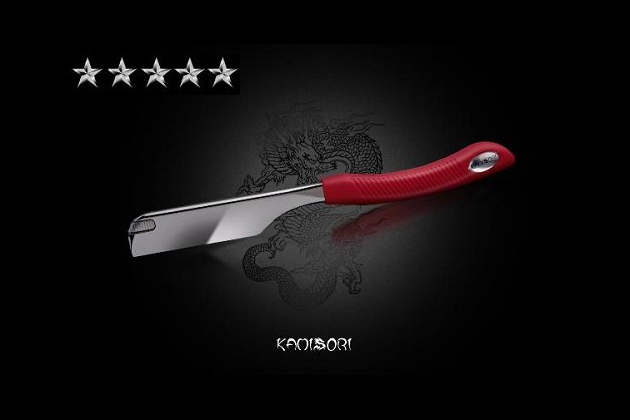 You should try a cheaper model at first, and if you think you will continue using a straight razor I will recommend you are purchasing a Kamisori. We all want something that will last for years, right? Well, in order to make something last for years it has to make of the highest quality materials that can be found. 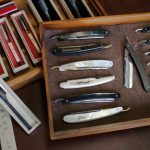 I hope this gave you a little insight on the Kamisori straight razor and what they have to offer you whether you are a beginner or expert.